What makes a good company great? At ABC Recycling we always believed that it is our people. Through four generations we have built many long-standing relationships and careers by treating our employees like family. To find out more about what makes ABC a great place to work, please visit our website (www.abcrecycling.com) and follow our social media sites. Are you a service-oriented team player with administrative skills? Please note this is an ongoing posting without a scheduled close date. The posting close date will be added to the posting one month prior to the posting close date. Applications will be reviewed on a monthly basis at the end of every month. This posting is to establish a pre-qualified pool of applicants (applicant inventory) who will be eligible to apply on full-time, permanent part-time, and temporary positions in Income Assistance offices in multiple locations. Are you a client service-oriented communicator who thrives in a high-volume environment? As an integral member of the City’s Information and Technology Team, you will use your strong problem solving skills and independent judgment to manage and support the City’s complex data centres and server infrastructure. In this challenging technical position, you will provide excellent customer service and outstanding leadership to our customers, assisting them with their Information Technology usage. Completion of a diploma or degree in Computer Science or Information Technologies from an accredited post-secondary institution. Advanced Professional Certifications in VW Ware (VCP) and Windows Operating Systems considered as assets. Reporting to the Director of Human Resources (HR), and supporting the Senior Human Resources Consultants, the Advisor provides support to a team of HR professionals, providing service and advice to client portfolios, in areas including labour relations, recruitment, job classification, compensation, benefits, and employee relations. As well, the Advisor supports department strategies and initiatives through research and analysis, interpretation of best practice and collective agreements, and recommendations on a wide range of issues to enhance the growth and development of the Human Resources service delivery. The Prince George Native Friendship Centre (PGNFC) has grown and continues to be one of the largest and busiest community service delivery agencies in Prince George. Our clientele of Indigenous and non-Indigenous peoples have supported the Centre’s program offerings for the last 50 years. The PGNFC provides culturally appropriate programming to meet the community’s unique and diverse needs. We offer a wide variety of services, which includes education, employment, health, early childhood, and social programs. We are passionate about children’s specialty toys! Our retail Toy Stores and website www.mastermindtoys.com are renowned for our selection of extraordinary children’s toys, books & outstanding customer service. Mastermind is all about learning & we have great toys! In our professional, dynamic environment we offer our staff many opportunities to learn & grow with us. We provide our employees with on-the-job sales & product knowledge training, we provide a lively, friendly work environment and are proud to offer our employees a generous personal discount. Are you a positive, motivated individual seeking an exciting, career building opportunity? This posting will be used to fill FULL-TIME positions across the province. Applications are now being accepted for the October 2019 Sheriff Recruit Training (SRT) class. The BC SPCA Prince George Spay Neuter Clinic is looking for a Registered Veterinary Technologist (RVT) to join their team. This full-time position provides support to the veterinarian by assisting with all aspects of anesthesia & surgery for both privately owned and shelter animals as well as assisting in maintaining the hospital and its equipment in good operating order. You are a team player, enjoy interacting with clients, and want to utilize all of your technical skills. You have a can-do attitude and passion for animal care. Northern Steel Ltd. is a Prince George, B.C. based steel manufacturing company and recognized leading supplier of custom fabricated steel products and machined components serving the Oil and Gas, Mining, Pulp and Paper, Chemical and Energy sectors primarily in Western Canada. We are a unionized shop with a full benefits package and pension plan. All work is in our Prince George shop no travel required. Industrial Forestry Service Ltd’s history is firmly rooted in the BC forest industry. After over 60 years, our track record of consulting and executing projects throughout Western Canada has made us the longest running forest consulting firm operating in Western Canada. Many of our senior consultants have been with us for more than 20 years, and our staff is experienced in all types of forest development projects across most silviculture and harvesting systems. We have a solid background in legislative and regulatory requirements for all forest tenures in BC. Columbia Valve & Fitting Ltd.
Data Analyst/Marketing and Administrative Support – We offer competitive wages, full health benefits and flex days! We offer our employees a great working environment and have great people making up our team! The Company: Prince George Valve & Fitting (Swagelok Prince George) has been a leading Swagelok Distributor for over 50 years and we lead our industry with the highest standard of Industrial Fluid System Components servicing Southern British Columbia. Company: Earls Kitchen and Bar / Earls Restaurant Prince George Ltd.
Excel is growing and is looking for 20 Professional Class 1 Drivers for the Prince George and AREA! The Sector Development Branch identifies and promotes agriculture and food production/processing systems that are sustainable and enhance the economic benefits to the province. The Branch leads the Ministry’s agriculture business and industry development including initiatives with First Nations, new entrants, organics and food processing. UNBC is actively recruiting for a Systems Administrator to join our Infrastructure Team in the Information Technology Services Department on our Prince George campus. We are looking for an individual seeking a challenging opportunity and interested in moving the University ahead in the digital world. UNBC’s ITS team works with advanced technology and provides an open and supportive team environment where innovative ideas are valued. Current projects in the Infrastructure Team include containerization, cloud service offerings, and virtualization of Desktop and Server Infrastructure. We are a local portable toilet company inviting you to be part of our small team. The job has a lot of variety, is busy, and the days go very fast. Your day will involve loading toilets and supplies onto a small vacuum truck and delivering, servicing or picking up for our customers in Prince George and the surrounding area. Reporting to the Assistant Director – Safety, Security and Emergency Operations at the University of Northern British Columbia, the Manager, Security and Parking plays an integral part in the general safety and security of UNBC staff, faculty, students, visitors and property. The Manager, Security and Parking leads both the operation and management of the Security and Parking Department, participates in UNBC’s Emergency Response planning and preparation and oversees the day-to-day Security Operations and related programs. The Prince George College of New Caledonia campus requires a sessional instructor to teach Heavy Duty courses for the Trades division. Inter-provincial Trades Qualification in the Heavy Duty/Commercial Transport Mechanics trade. Minimum of five years experience as a Heavy Duty/Commercial Mechanic Journeyperson in a number of industrial settings. Ability to deal effectively with students on an individual or group basis. ABC Recycling Ltd. is looking for an experienced Class 1 Truck Driver to operate our trucks hauling scrap metal to and from different locations to ABC Prince George. Occasionally, you may need to haul material to and from other ABC locations and partner companies. The ideal candidate will have clean driving record along with experience operating dump trucks, roll-offs, lowbed, picker trucks and end dumps. The ability to complete daily logs and reports and carry out the instructions is also essential. The Prince George and District Elizabeth Fry Society is accepting applications for a permanent full-time Family Development Worker. The successful candidate will demonstrate the skills and abilities necessary to provide individual and group support with respect to parenting, relationships, skill building and child development. This role must bring a strong focus on strength-based family systems and attachment based support, in order to promote a safe and healthy living environment for families. Every year, CN moves about $250 billion of goods across its nearly 20,000-mile network. And it takes a dedicated team of railroaders to help get our freight to destination safely. Under the supervision of the Dean, Health Sciences, this position will assist in the daily operation of the College of New Caledonia Dental Clinic. Oversight of clinic operations including coordination of dispensary and reception areas. Coordination and scheduling of student duties. Assisting with the coordination of part time and replacement clinical faculty. Ordering and management of clinic supplies, purchasing w P-Card, tracking of clinical budget expenditures. General preparation and maintenance of clinical dispensary and equipment, including radiology areas. Trouble shooting of equipment and dental software. Note: Required to work evenings/weekends. Day and afternoon shifts available – night shifts are not required. Prince George Youth Custody Services provides Secure and Open sentenced custody as well as remand and pre-court detention for male and female residents in custody under the Youth Criminal Justice Act. Youth Justice contributes to public safety by promoting the development of law abiding behaviour primarily through an integrated, multi-disciplinary approach. Join our team today! 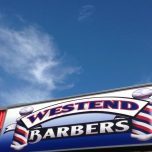 Busy barber shop is searching for barbers or stylists who are interested in joining the barbering world. Do you have an eye for detail and an awesome personality? Come hang out with us! A passion for the craft of barbering? Enjoy beard styling, moustache grooming, straight razor shaves, traditional and new school men’s hairstyles? Apply today! The Northern Sport Centre’s Personal Training program is growing! We are hiring qualified personal trainers who have a passion for fitness. The personal trainers will provide their clientele with the knowledge, motivation and coaching to achieve their personal fitness goals. These positions are part-time, with the majority of the hours between 6:00 a.m. – 10:00 a.m. and 5:00 p.m. – 9:00 p.m. (will vary based on client schedule).